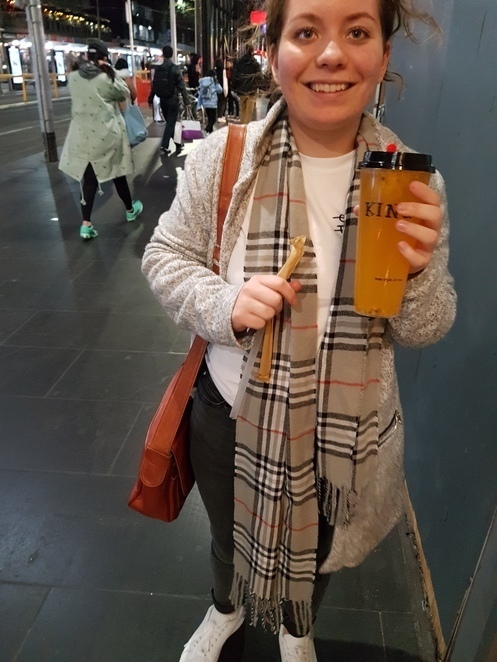 King Tea can be found along Elizabeth Street, not far from Flinders Street Station or Walkers doughnuts. They specialise in bubble teas. They have fruit flavours but also cheese foam milk teas (which I was way too scared to try) but are according to reviews that I have read very nice! They are quite similar to Honey Creme which is located in Perth but I do think the flavours at Honey Creme are more enjoyable. But that is not to say that my passion fruit tea from King Tea wasn't tasty (because it very much was). One thing that King Tea does better is value for money. The teas are huge! Initially, I thought they were a bit too expensive but once I saw the size of my cup I was happy. I found my drink refreshing and fruity and I would not hesitate to go back when in Melbourne again.